Your Name. (Japanese: 君の名は。 Hepburn: Kimi no Na wa.) is a 2016 Japanese animated romantic fantasy drama film written and directed by Makoto Shinkai and produced by CoMix Wave Films. 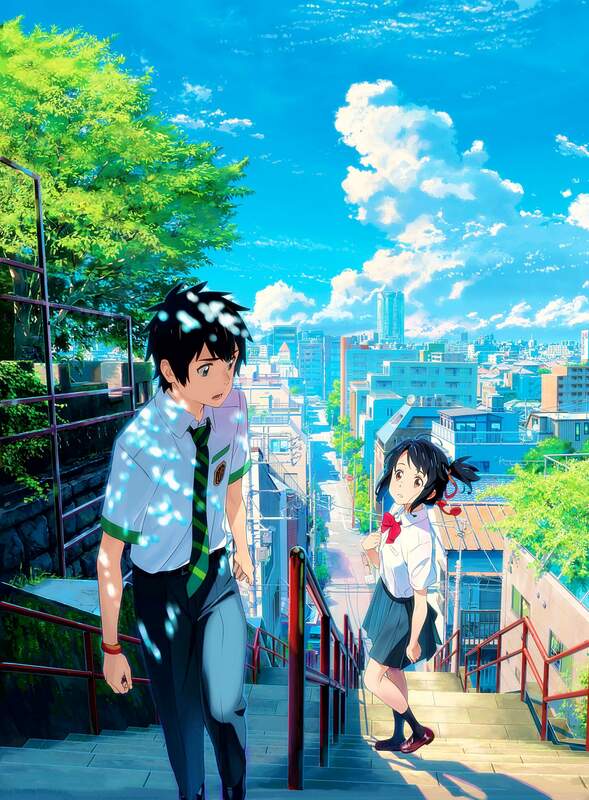 Your Name was premiered at the Anime Expo 2016 convention in Los Angeles, California on July 3, 2016, and in Japan on August 26, 2016. – Kimi no Na wa. First of, Your Name. is a gorgeous film. Many of the scenes in the country remind me of Hayao Miyazaki’s style. The colors are vibrant, almost unrealistically vibrant. Every scene is meticulously painted. The music is superb and by the band RADWIMPS, which remind me a bit of one of my favorite band, Galileo Galilei. The songs tend to be somber and uplifting at the same time. Watching this anime again reminds me a little of Ocean Waves, also known as I Can Hear the Sea (Japanese: 海がきこえる Hepburn: Umi ga Kikoeru). Ocean Waves was a little gem of an anime done by Studio Ghibli in 1993. Anyway, the ending reminds me a bit of that anime ending scenes. This anime starts a little slow during the first act, but ramp up nicely by the end of the third act. I highly recommend this beautiful anime for those into a good (love) story. Your Name contains mild suggestive themes/dialogs and one scene of alcohol (sake) consumption. Intended for young teens and up.